An article in Science details the crusade of Spanish doctor Oriol Mitjà, whose work on the Papua New Guinea island of Lihir has kick-started a 60-year-old global campaign to eradicate the tropical disease Yaws. ABC journalist Eric Tlozek’s posting in PNG is coming to an end. In this piece, he reflects on the stark contradictions of PNG society and on his best and worst experiences in three years covering Australia’s closest neighbour. 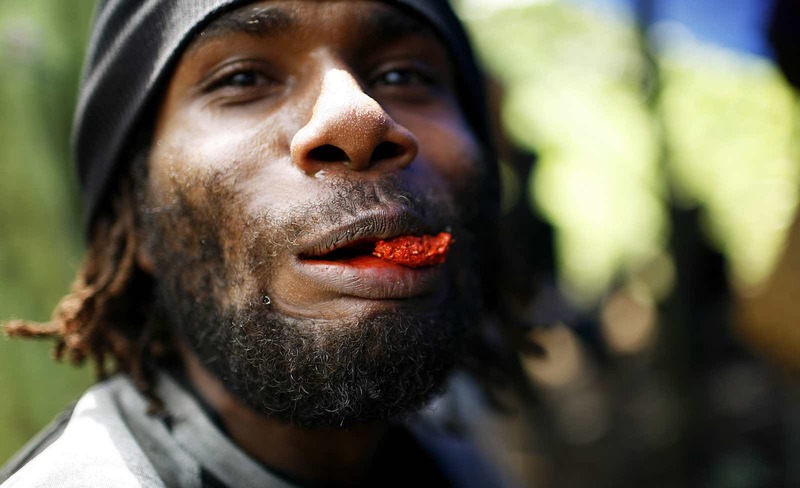 Chewing betel nut had long been an important cultural practice in PNG but is now recognised to be dangerous. PNG musician George Telek is warning his countrymen about the dangers of betel nut chewing after his own experience with mouth cancer. In The New York Times, Damien Cave writes about Chinese engagement in the Pacific, and uses the case of Solomon Islands to illustrate the reaction of traditional powers in the region facing the rise of China’s influence. Vanuatu is hosting medical aid projects from the militaries of two countries. The US military has partnered with the Vanuatu Mobile Force in Luganville. At the same time, the Chinese aid ship Peace Ark is sailing in after a high-profile mission to PNG. The Peace Ark first visited Vanuatu in 2014. The government of Nauru announced it is working with deep-sea mining company DeepGreen Resources to explore the potential of seafloor mining. Rohan Fox from Devpolicy writes about the results of the latest of two surveys of the University of PNG economics class of 2015. Despite the economic climate, the majority of graduates found good positions within one year of graduating. On Pacific Beat, Catherine Graue talks about the Aitape tsunami, 20 years after an earthquake caused a massive wave that killed more than 2000 people along PNG’s West Sepik coastline. Megan Specia of The New York Times looks at the various protests against the Australian detention centres on Manus Island and Nauru that occurred last week. The article also features a video made by a Kurdish dissident journalist that depicts his daily life as a refugee on Manus Island.